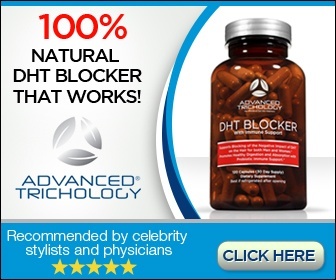 Natural DHT Blockers that Work! use of a dihydrotestosterone or DHT blocker supplement can be the best way to prevent genetic loss of hair. Blocking the conversion of testosterone to DHT is not only known to prevent balding but also preventing cancer of the prostate glands in many cases. Many shampoos, vitamins and some other pills that prevent hair loss are being sold in the markets today. They are believed to stop the conversion of testosterone into DHT. However, their effectiveness is not yet proven, so it is up to the individuals to run their own trial and error. I have found the Best DHT Blocking herbs and vitamins evaluated all of the ingredients. 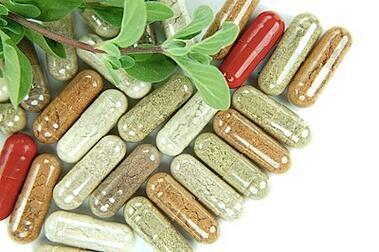 There is only one DHT Blocker vitamin available today that includes all of these herbs and vitamins in once formula. That product is the DHT Blocker with Immune Support by Advanced Trichology. A DHT-blocker in the hair world is a term used to refer to many products whose main aim is to prevent the DHT from binding to the hair follicles which may eventually become dormant and stop growing hair. DHT-blocker is composed of a number of ingredients with each element playing a very vital role in preventing hair loss. Saw Palmetto Berry Extract. This herb should be standardized to contain 45% Fatty Acids. Saw Palmetto is a plant with small berries and is widely used by people especially the Native Americans for medicine and food for many years. Research shows that Saw palmetto is the fastest growing health product with over 65 million users. It is proven to be the most trusted friend in your pursuit of wellbeing and best hair growth. In a small study in 2006, 6 out of 10 participants gave a feedback of how much saw palmetto had promoted their hair growth. It is the best natural DHT blocker compared to results obtained from comparing it with finasteride, used in a similar way. Research has proven that this is the most useful herb in preventing loss of hair. It is also mostly used in keeping prostates healthy in men. An extract from this plant is estimated to block 5-alpha-reducatase; an enzyme that is believed to convert testosterone to DHT. Researchers claim that saw palmetto could be used to prevent hair loss in both men and women, with positive results of sixty percent success. Although Saw Palmetto is considered to be safe, it is not advisable for children. Only minor side effects have been linked with the use of this extract including temporary stomach pains. However, this can be prevented when using probiotics with this extract. Any DHT blocker with saw palmetto and probiotics as an ingredient is therefore highly recommended because it gives the best results ever as compared to those without. Green Tea Leaf Extract is another ingredient. It is standardized to contain 90% Polyphenols, 60% Catechins, and 45% EGCG which is believed to block the formation of DHT. It is also proved to reduce the concentration of DHT and testosterone in the blood. Green Tea is extracted from the leaves of Camellia Sinensis. It is hard to believe that Green tea can control hair loss but those who have used it have a new story to tell because the results are so pleasing. If you are after strengthening your hair, don’t look for anything else but a DHT blocker with Green Tea as an ingredient. It is beneficial in that it facilitates blood circulation and distribution of hormones in the body. Good blood circulation translates into a healthier body and a healthy body and scalp results in healthy hair follicles, and this leads to improved hair growth. Green tea is a good DHT blocker with no harmful side effects. There no reported negative results from the use of Green Tea long term. It is proved to be a natural method that can stimulate the hair to grow again and improve the strength and thickness of the hair that has regrown. Those who have used Green Tea have reported positive results. Apart from preventing hair loss, Green Tea is known to minimize the risk of developing cancer, kidney stones, and heart disease. It also prevents diabetes through improving the sensitivity of insulin and glucose tolerance. It is effective in lowering blood pressure, cholesterol and fat level together with facilitating loss of body weight. A study conducted by Saitama Cancer Centre researchers got results that showed that Green Tea could heal a tumor that is implicated in cancer which has effects on hair loss. Stinging Nettle is a herb that is believed to reduce prostate swelling effectively. Its roots have been seen to control hair loss very efficiently and within a short period. It is also used to control some diseases such as arthritis, joint pains, insect bites and anemia. 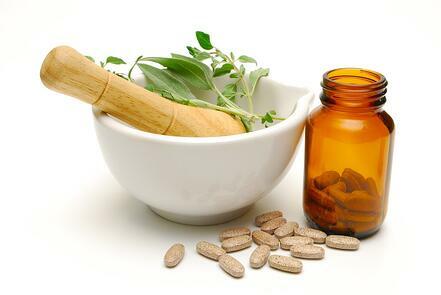 Extracts of nettle roots are used to treat enlarged prostate glands by preventing the production of DHT. Several shampoos also contain this extract. Stinging Nettle is not advisable for those who are expectant. A researcher by the name R.Hartman showed that extracts of stinging nettle were capable of blocking enzyme 5a-reductase, which converts testosterone to DHT and thus preventing hair loss. L-Lysine is an amino acid that assists in rebuilding protein structures like keratin in your skin and hair. L-Lysine is not a DHT blocker, but it is added to DHT blockers to make them more effective. When combined with DHT inhibitors, it promotes hair growth particularly in people suffering from androgenetic alopecia. Research shows that when L-Lysine is used with Propecia, it provides better results than with Propecia alone. 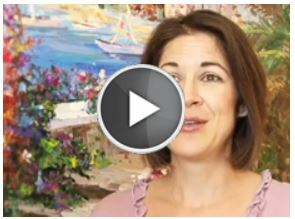 It may assist in controlling anxiety and improve the immune function. Grape Seed Extract is another great natural DHT blocker that contains vitamin E and OPCs which stop hair loss and improve hair growth. It is standardized to contain 95% of proanthocyanidins which prevents the changing of testosterone into DHT. It is also used in the treatment of other diseases such as heart disease, high blood pressure, skin cancer, and tooth decay. It has been shown to stimulate wound healing and offer protection to the liver. It helps in hair growth through lowering the amount of DHT in the hair follicles. It also slows down the process of growing old and makes one look younger and healthy. It is available in both liquid and capsules in many pharmacies and health food stores. A recent study conducted by researchers from Japan proved the viability of Grape Seed extract as a DHT Blocker. Pygeum Bark Extract is closely related to hair loss and prostate health. It is rich in fatty acids and has been used as traditional medicine alternative to treat prostate conditions. It also contains chemicals that help in shrinking the prostate relieving the body from diseases such as poor urine flow. It is believed to provide DHT suppression thus giving the hair follicles the ability to sustain thick and healthy hair. For this reason, Pygeum been noted as a core DHT blocker. A book by the name “The Nourishment for Good Skin: Policies for Clinical and Cosmetic Practice” authored by Jean Krutmann, a professor at a university in Germany proved that pygeum inhibits enzyme 5a-reductase. Pumpkin Seed Extract has been shown to break down DHT via the liver. These seeds are perfect in maintaining a healthy hair for women and improving prostate health and hair in a man. It contains beta-sitsterol which inhibits the release of enzyme 5-alpha-reductase which changes testosterone to DHT. Raw pumpkin is rich in proteins and minerals which offer some benefits against prevention of hair loss and prostate problems. Studies reveal that pumpkin seeds can do wonders to your hair. Probiotics refer to the good bacteria that live in gut creating healthy a digestive system. They help move food through the gut helping our body by boosting the immune system, preventing and treating digestive tract infections, and fight food-borne illnesses. They also prevent hair loss through improving the absorption of vitamins, minerals, and herbs in the small intestine. Probiotics support a healthy scalp which stimulates the growth of thick and nourished hair. 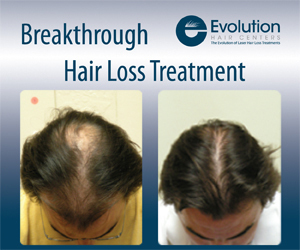 It is clear that solutions have been found to curb hair loss. The several ingredients discovered revolve around inhibiting the production of enzyme 5-alpha-reductase which facilitates the conversion of testosterone into DHT. The introduction of DHT blockers is proven to be beneficial to individuals. Apart from preventing hair loss, these extracts are of great importance to our bodies since the help in preventing more other dangerous ailments. For the best results used all of the ingredients together in a formula called the DHT Blocker with Immune Support by Advanced Trichology. Also find this recommended DHT BLOCKER by Advanced Trichology Amazon prime. 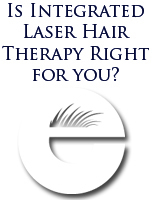 Expert Hair Loss Advice with Free Phone Consultation today! 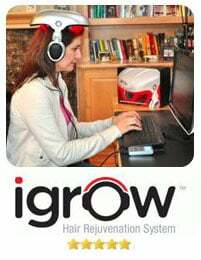 Regrow your Hair with the IGrow Laser Guaranteed!